OCD Cakes is a small bites pastry shop located in the heart of Cincinnati. Specializing in cakes, choux pastry, cookies and crusts. We’ve got something to help satisfy all of your obsessions. 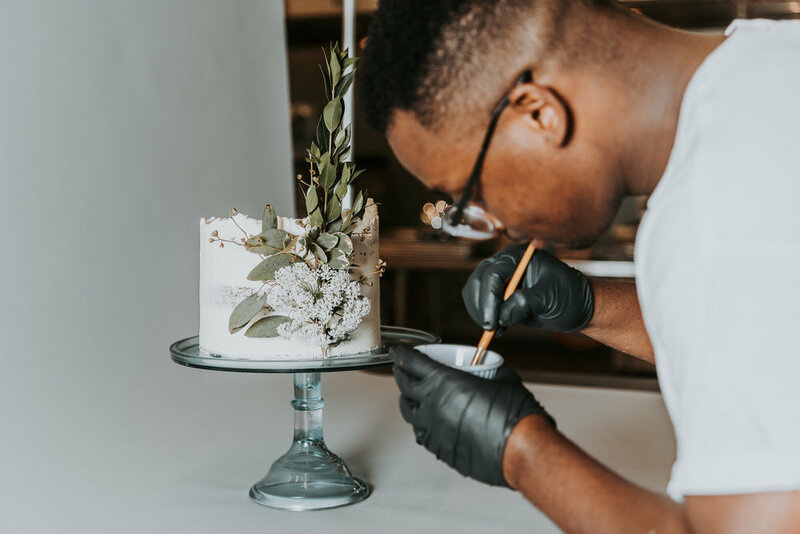 Cake is a simple staple that has an emotional link to many of our experiences, in the moment we enjoy cake and other sweet treats, negative emotions and sentiments are scarce and we relish in the community and positivity which surround us. Making it a perfect conduit for our mission. Philanthropically, we exist to take a bite out of the stigma surrounding mental health by donating a portion of our profits, time and resources to local agencies focused on eliminating the social stigma mental illness carries. As a result of our own Obsessive Cake Disorder (OCD) we dedicate a great deal of time and effort to ensure that we satisfy your sweet obsession. Our focus is minimalism—simple designs and bold flavors.